As I told you in July, NIGMS houses the new NIH Office of Emergency Care Research (OECR), which was created to advance, coordinate and provide information about basic, clinical and translational biomedical research and research training within the emergency care setting. The search is now open for an outstanding physician and leader in emergency medicine research to oversee this office as its first director. This position offers an important and unique opportunity to shape trans-NIH approaches to improving the health outcomes of persons with emergency medical conditions. You can apply to either one. A key difference between the two is that the first one requires a current, valid medical license. The listings close on November 4, 2012. I encourage you to share this information with others who may be interested in applying. UPDATE: This vacancy listing has been extended to November 6, 2012, due to weather issues during the week of October 29. 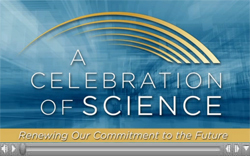 We’re looking forward to a very special event this week—a symposium on the NIH campus marking our 50th anniversary. If you can’t join us in person, you can watch the talks online. You can watch the event live or later. * This reference list is not meant as an endorsement of specific marketplaces or services. Unexpectedly, almost all of the services mentioned by respondents constitute technologies or methodologies currently available for outsourcing. The most frequently identified ones—next-generation sequencing, bioinformatics/statistics and mass spectroscopy—are offered as services by numerous companies and core facilities. Several marketplace-type platforms have recently been launched that facilitate bringing together researchers and providers of desired laboratory expertise, technology and research services. For a short list, see the news articles included in this post. Evaluating the quality and cost of procedures available for outsourcing is not always straightforward. Similarly, assessing a laboratory’s actual costs for specific procedures, some of which could be outsourced, is difficult. Performing such economic analyses could reveal new needs for outsourcing laboratory procedures. While we realize that the feedback we received may not be representative of the whole community, the results lead us to conclude that there does not appear to be a need for a special initiative to develop novel outsourcing capabilities. 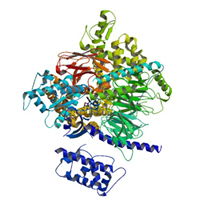 Their seminal work, primarily involving the β-adrenergic receptor, has widened understanding of how these biologically and medically important proteins operate. It has also contributed to an expanding library of related structures, which have been notoriously difficult to obtain. And it complements the ongoing efforts of many other researchers, including those funded through a variety of special NIH activities, among them the NIH Common Fund Structural Biology Program, which NIGMS helps administer. Dr. Kobilka’s “molecular masterpiece,” the high-resolution structure of the β2-adrenergic receptor attached to its G protein partner, was published just last year. We’re proud that our funding contributed to this achievement. We also congratulate the 2012 Nobel laureates in physiology or medicine, Sir John B. Gurdon of the Gurdon Institute and Shinya Yamanaka of Kyoto University and the Gladstone Institutes. They’re honored “for the discovery that mature cells can be reprogrammed to become pluripotent.” Their advances have propelled this area of stem cell research forward and have opened up many new avenues of investigation that are being pursued by NIGMS grantees. We are delighted that these prizes, which were awarded during our 50th anniversary year, offer a further testament to the importance and value of basic research. We look forward to continuing to support basic studies that form the foundation for new and better ways to treat and prevent disease and improve health. Most of us—whether we’re making discoveries or funding them—spend our time focused on driving science forward. Occasionally we have the opportunity to revel in the advances that have been made and see firsthand how they change lives. That’s what happened here at NIH a few weekends ago, and it was an absolute delight. FasterCures and the Milken Institute organized A Celebration of Science , a 3-day event in the Washington, D.C., area to reaffirm the importance of biomedical research. It brought together more than 1,000 scientists, patients, policymakers, businesspeople, artists and others who have made discoveries in, have been affected by or simply wanted to know more about biomedical research. The group came to NIH on a Saturday to hear about cutting-edge research, people whose lives have changed for the better because of biomedical advances, and the economic impacts of NIH investments. Finding that the same fundamental cellular processes work (or don’t work) in diseases we think of as very different (e.g., Alzheimer’s disease and cancer). These are just a few highlights of the exciting and inspiring day at NIH. 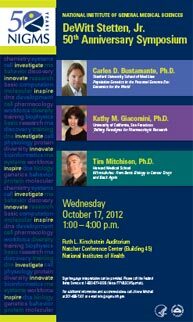 For more, watch this 10-minute overview or the entire NIH morning session and afternoon session. It’s autumn: cool, crisp weather; bright-colored leaves; the beginning of another fiscal year for NIGMS. The new fiscal year brings with it a special set of circumstances for funding applications, activating fellowships and making changes to existing grants. Some of these circumstances are related to the NIGMS budget, while others are related to NIH policies and regulations. Here are answers to some questions that applicants and grantees often ask after the September Advisory Council meeting and during the beginning of the new fiscal year, which started on October 1. We hope that telling you what to expect will help you plan accordingly. September Council’s over. My application did well in review. When is my grant going to get funded? NIGMS funds a very limited number of R01s in September after the Council meets. Most pending applications are funded after January 1, depending on when NIH gets its budget appropriation from Congress. However, if your renewal application did exceptionally well in review and your current award expires on November 30, we may be able to start the renewal on, or close to, December 1. Would my grant application be funded more quickly if it went to a different Council round? Most likely, yes. Applications that go to the January or May Council meetings are typically selected for funding and processed sooner, relative to when Council meets, than applications that go to the September Council meeting. If you want to minimize the receipt-to-award time and you have a choice about when to submit your application, you may want to submit it for the June/July or October/November deadlines, so that it goes to the January or May Council meetings, respectively. Be aware, though, that there is a large volume of awards to be made after January and May Council meetings, which may impact award processing time. Why can’t I activate my NRSA fellowship in October or early November? Many NIH institutes and centers, including NIGMS, do not activate fellowships during the first 6 weeks of a new fiscal year so that future-year anniversary dates align with the NIH funding guidelines (i.e., continuation awards typically do not start before December 1). I’m moving from one institution to another on October 1. Can my grant or fellowship be transferred when I move? I want it to start on the day that I arrive or, if that’s not possible, later in October. For the same reason as above, a change of grantee institution action cannot be processed from October 1 through mid-November. However, if we receive your change of institution request at least 8 weeks before the desired start date, we may be able to make the transfer date retroactive. Contact your grants management specialist for details. I’ve applied for a diversity supplement for an individual who’s arriving on October 25. Will the supplement be available on the day that she arrives? No, since NIH generally begins issuing grant awards after mid-November. If the supplement application is received at least 10 weeks prior to the desired start date, then the supplement could be issued as early as mid-November. Your institution most likely has pre-award cost authority, so you may opt to start spending the supplemental funds on October 25, when the candidate arrives. If you’re considering this option, be sure to confirm with the director of the diversity supplement program that your supplement will be funded, since submission of a diversity supplement application does not guarantee funding. You’ll also want to know when the supplement is likely to start and whether the budget has been cut. My grant’s anniversary date is December 1. Why are the awards late most years? Two factors may contribute. One is that program and grants management staff must wait, often until mid-November, to start the process for issuing grant awards until funding guidance and financial systems are in place. Another factor is that NIH may be operating on a short-term continuing resolution (CR) at a reduced budget level in lieu of a full-year appropriation, which may affect the award process. Why was my continuation budget reduced? Is the likelihood of a budget cut higher if my grant’s anniversary date is in the winter? Will the cut funds ever be restored? If NIH is operating on a CR, it may have implemented temporary across-the-board budget cuts on noncompeting continuation awards (years 2, 3, etc. of a grant). This is because we must fund conservatively in case of a further CR or an appropriation that is at a lower level. The likelihood of a temporary budget cut is highest in December and January, since the probability that NIH will be on a CR is highest at the beginning of a fiscal year. It’s possible that some or all of the budget reductions will be restored after NIH gets an appropriation. However, it may take several weeks or longer after an appropriation bill is passed and signed for your award to be adjusted. Each year, NIH institutes and centers nominate outstanding young scientists for the Presidential Early Career Award for Scientists and Engineers (PECASE), which is the highest honor bestowed by the U.S. government to individuals beginning their independent research careers. The grantees, who must be new investigators in the first year of an R01 or DP2 award, are selected for their innovative research record, potential to continue on this productive route, and community service activities. In recent years, NIH has annually nominated 20 individuals, with approximately 1 or 2 of them being NIGMS grantees. Among this year’s PECASE recipients are two NIGMS grantees, Niels Ringstad of the Skirball Institute of Biomolecular Medicine at New York University School of Medicine and Erica N. Larschan of Brown University. We identified them because of their cutting-edge neuroscience and developmental genetics research, respectively, and their outstanding commitment to education, mentoring and increasing the diversity of the scientific workforce. Below, they answer questions about their research and PECASE experience and offer advice to other early career scientists. Neils Ringstad: Our lab studies the simple behaviors of a small roundworm to identify genes that function in chemical signaling in the nervous system. Even though the organism we study, Caenorabditis elegans, has a tiny nervous system with only 302 neurons, these neurons are very similar to the neurons in our brains and use many of the same neurotransmitters to transmit and process information. We’re particularly interested in serotonin signaling pathways, which are important therapeutic targets in psychiatry. Erica Larschan: We study how genes are precisely targeted for regulation within the highly compact eukaryotic genome. Gene regulation is a fundamental process that is misregulated in many diseases including cancers. We are interested in identifying new proteins that could serve as targets for anti-cancer therapies. What was it like to come to Washington, D.C., to meet NIH staff, the President and other PECASE recipients? Ringstad: It was a tremendous honor to be an awardee. We heard a resounding endorsement of basic science and a clear statement of its value to the American people from both the White House and the NIH. That gave me and my group a boost that will last for years. Larschan: My PECASE visit was one of the most exciting moments of my scientific career. It was a great opportunity to present brand new data from our lab to a broader audience and interact with the other PECASE winners. What advice would you give to young investigators? Ringstad: We pick problems to tackle because we see some good in solving them, and we pick them before we know how tough they are to solve. Don’t lose sight of the hopes and expectations that you had for your project before you did your first experiment. Larschan: The most important piece of advice is to focus on the most exciting and central questions that you can address with your research. It is essential to use many different approaches to rigorously answer the most difficult questions. To help increase student interest in cell biology and research careers—as well as to mark our 50th anniversary—we’re hosting an online interactive chat about the cell on Friday, November 2. Middle and high school students, teachers and interested members of the public can submit questions to be answered by NIGMS scientific staff from 10:00 a.m. to 3:00 p.m. EDT. The “Cell Day” Web site includes registration information and classroom resources. You can view the chat live or read the transcript, which we plan to post shortly after the chat ends. And please help us get the word out by letting people in your local schools and community know about Cell Day. This event is just one example of the Institute’s commitment to science education and to encouraging future generations of scientists via formal research training and informal learning opportunities.